Small brown paper carrier bags with flat paper handles. Small size: 180mm x 230mm + 90mm (7" x 10.5" x 9"). 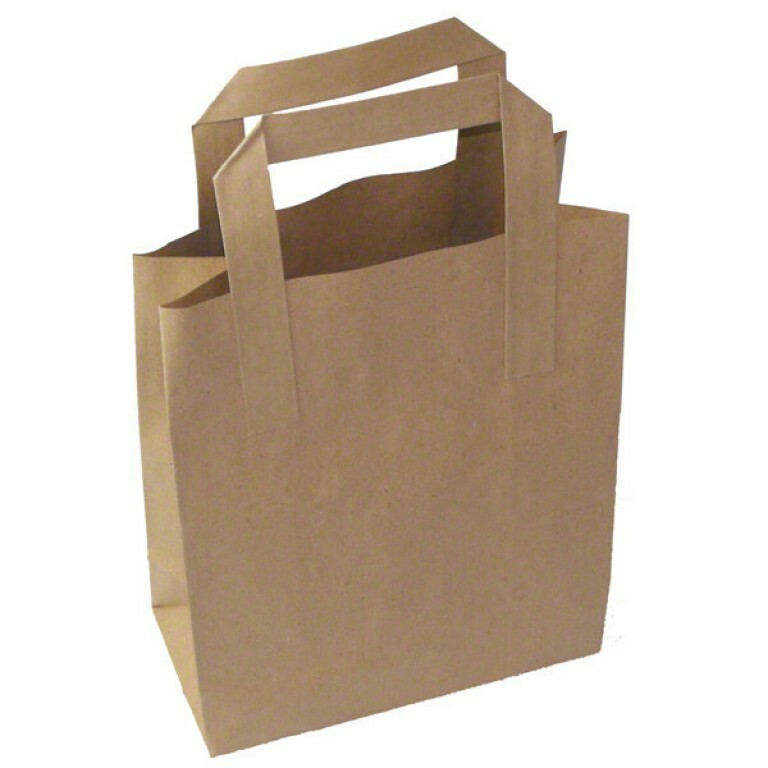 These paper bags with handles are a competitively priced alternative to plastic carrier bags. They have five-times folded paper handles, giving them high weight capacity. These paper bags are ideal for fashion retailers, gift shops, as promotional carrier bags and as carrier bags for food use.